Governor King decided to commence farming at the site on 8 July 1801 and gave Castle Hill its name on 1 March 1802. 34,539 acres were originally committed to the farm, to be called the Public Agricultural Settlement. It extended from West Pennant Hills to Maroota and included most of the present Parish of Castle Hill. 700 acres were cleared between 1801 and 1804. The convict huts consisted of timber and bark and each had an enclosed kitchen garden attached to it. In 1802 the farm was described as an infant town but by 1806 buildings were in need of repairs and general decline then set in. Phillip Cunningham, a stonemason who had been transported for life following his role in the Irish Rebellion of 1798 (which took place at Vinegar Hill near Enniscorthy) supervised the building of the superintendent's cottage and a two-storied stone barracks 100' x 24' in 1803. With no staircase, access to the upper floor of the barracks was by ladder. The average number of convicts attached to the farm was 312. Numbers peaked at 501 in August 1803 and fell to 150 in July 1805. They fluctuated widely between 1803 and 1807. The Castle Hill Rebellion led by Phillip Cunningham, began at the Farm at 8 pm Sunday 4 March 1804 when 233 convicts escaped. They were mostly Irish dissidents who saw themselves as political prisoners, having been captured in the war between England and Ireland, and resented being treated as common criminals. They were intent on securing their freedom, capturing ships and returning to Ireland. Their cry became "death or liberty". The Battle of Vinegar Hill took place 5 March 1804 on the Windsor Road near the junction with Schofields Road. The rebels were easily defeated. Fifteen men died and many were wounded. Eleven ringleaders were sentenced by military court martial to death by hanging. Two were reprieved. Executions were carried out at Castle Hill, Windsor, Parramatta and Sydney. Other men were flogged or sent to the Hunter area to work in the coal mines. In 1808 and 1809 the wheat crops at the farm were devastated by infestations of rust and blight so the farm was no longer economically viable. In 1811 the stone barracks was converted to an asylum and took in 30 patients from Parramatta Gaol. Control remained with the military at Parramatta until January 1814 when Samuel Marsden was appointed for a brief period. It was the first of its kind in the colony and the Governor was determined to follow new methods of treatment for the deranged including occupational therapy in the form of gardening. The inmates were not to be confined in chains nor punished severely and were to be treated as humanely as possible. Sadly, these high ideals were not always realised. In Aug 1814 the first superintendent was appointed. The first 30 patients were from Parramatta Gaol. Between 1818 and 1823, all but 200 acres of the farm were disposed of by grants to 71 settlers. The asylum closed 10 November 1826. 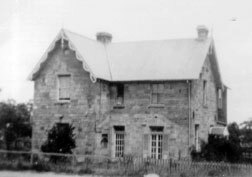 The first school in Castle Hill commenced in 1827. The barracks building was converted to a church in which the first service was held in 1829. In 1837, 40 acres were dedicated to St. Simons Church of England as a Glebe (that is, the land could be farmed giving income to the clergy) and the school was transferred to a cottage near the church on 11 July 1837. In 1863 the school was replaced by The Church of England Denominational School at 245 Old Northern Road, Castle Hill. Most of the remaining 160 acres were sold by auction in 1870. The Church continued on site until 1861 when the new St. Paul's Church of England (built 1858-1861 at 210 Old Northern Road, Castle Hill) replaced it. The Parsonage opposite (now privately owned) was built in 1866 using stone obtained from the demolished barracks. 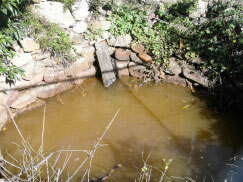 A Plan of Management was completed by consultants and accepted by Baulkham Hills Shire Council on 26 October 1999. Castle Hill Heritage Park has been refurbished at a cost of more than $ 3.4 million. The new-look park was officially opened by Her Excellency Prof Marie Bashir, Governor of New South Wales in March 2004 and features excellent interpretative signage on the colourful history of this site. A stroll around the park will bring to the life the story of the convicts and their fateful quest for freedom in 1804; the first psychiatric institution to be established in Australia; the first school and church in Castle Hill; as well as the early settlers of the district. 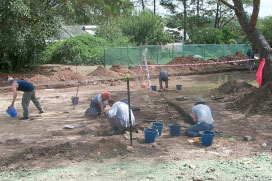 Archaeologists employed by Council uncovered the location of the foundations of a kitchen block in 2003 and the 1803 stone barracks in 2006.